14.05–14.20 prof. MUDr. Petr Pohunek, CSc. 14.20–14.40 MUDr. 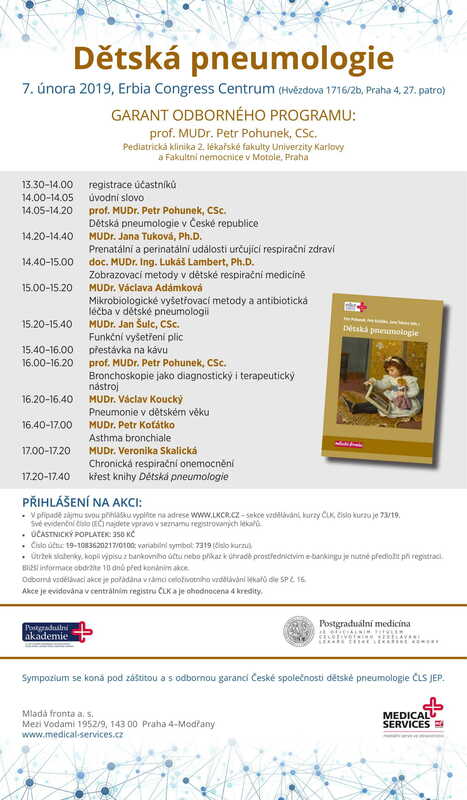 Jana Tuková, Ph.D.
14.40–15.00 doc. MUDr. Ing. Lukáš Lambert, Ph.D.
15.20–15.40 MUDr. Jan Šulc, CSc. 16.00–16.20 prof. MUDr. Petr Pohunek, CSc.